This product has been discontinued and will only be available while supplies last. Order today! Take your dog out in style and with ease with the Crown Step-In Dog Harness with Leash in Hot Pink. The Crown Step-In Dog Harness in Hot Pink is a great way for you to take your dog out at a moment's notice and have her looking good. This elegant style walking harness with matching leash will enhance your pet's looks while letting her coat show through. This rolled faux leather dog harness is ideal for long-coat breeds and won't mat your pet's fur. Short-coated breeds will appreciate the non-chafing design. The rounded handle of the included leash feels comfortable to hold. 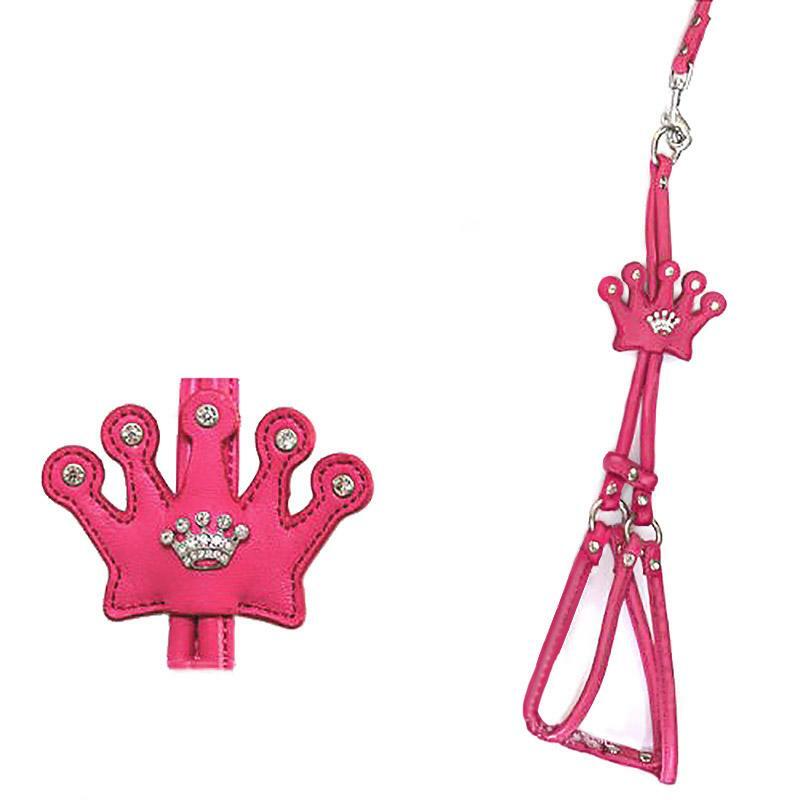 The crown-shaped adjustment tab features a crystal charm. To use, simply have your pup step in, adjust the bone slider to fit, and your dog is ready to go.